The wedding season is still not over but what I love the most about September is the fact that Europe has many beautiful resorts with much cheaper prices, perfect for those looking for Muslim friendly resorts in Europe and honeymoons. A heavenly place for honeymooners! Located in the Sorrento Peninsula it is a 5-star luxury hotel, which can gift you with stunning views as it sitting on a rocky shore! Check out the best price comparison site here. 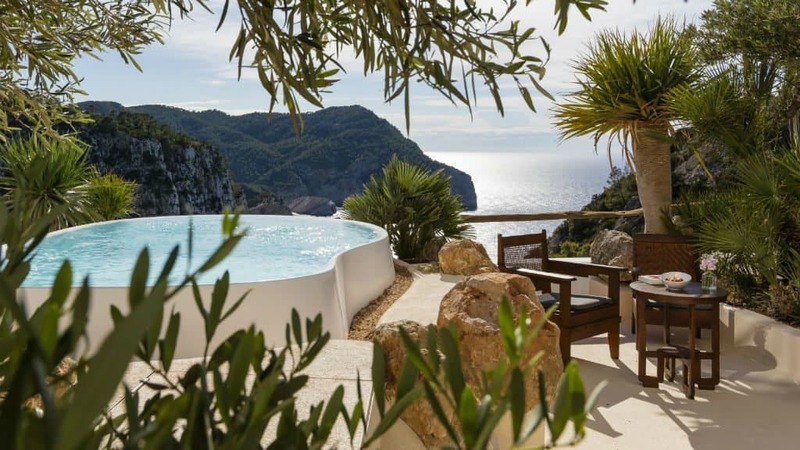 A hotel which is 180 metres above the Mediterranean sea in the island of Ibiza, offers not only an extraordinary view, but also private pool in some rooms and jacuzzis. Whichever you pick you can’t go wrong! Here is the link to compare prices. Looking for the most perfect destination for an amazing honeymoon? Santorini is the place! 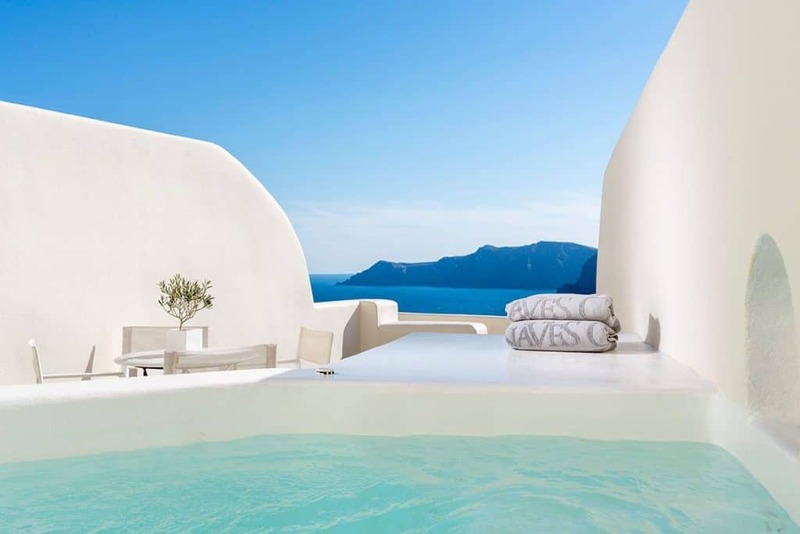 And Dreams Luxury suites is the place you’ll want to stay, relax and enjoy the views of the ancient volcano! Here is the link for Hotelscombined. Anassa hotel is located in Cyprus, which is a great destination for newlyweds. 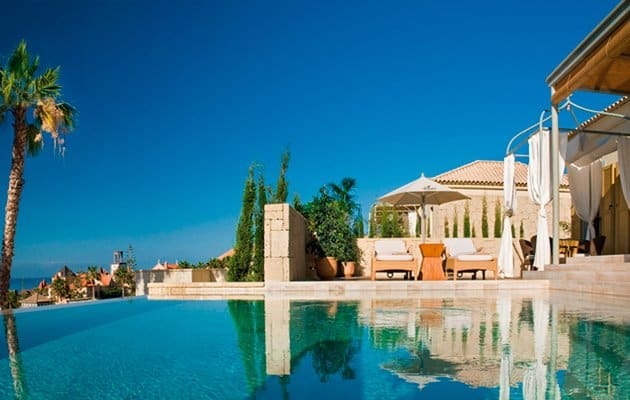 This hotel offers not only beautiful villas, but also rooms and suites with private pools. 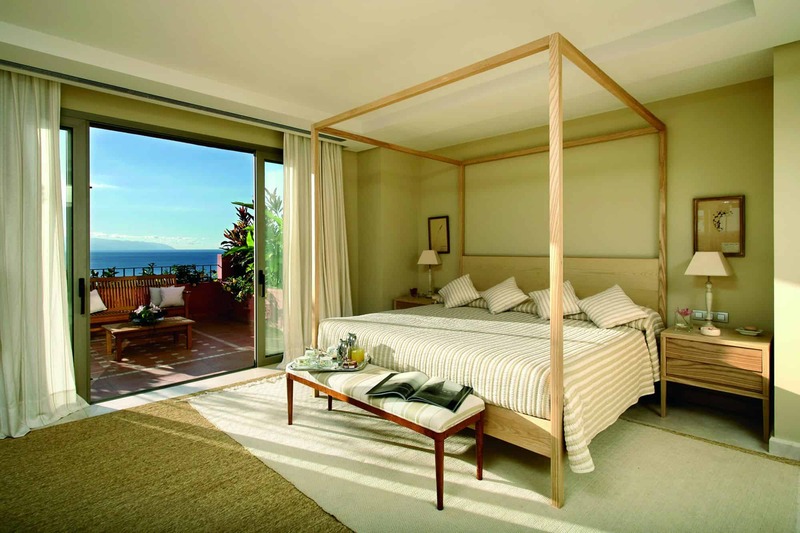 You will love not only the views but also the rooms! Here is the link. Canary islands and a honeymoon in Europe? Sounds amazing! And Gran Bahia Del Duque Resort Tenerife is a great place where your dream honeymoon can come true. In the island of Tenerife and next to the Atlantic, this resort offers beautiful views, and nice weather! Link for price checker. 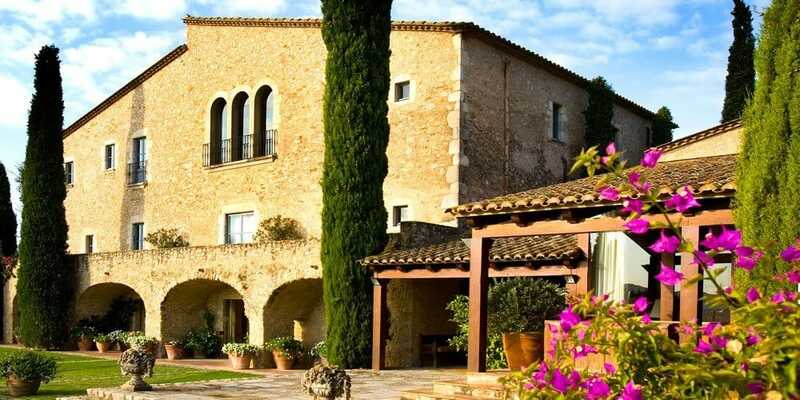 A beautiful place in Empordà, Catalonia, Spain. There are many suites in the resort, some of them offering private pools, which makes it ideal if you want a more traditional-like honeymoon. Here is the link. A heavenly-like place in Tenerife, with beautiful pools and views is surely a place to consider when planning your honeymoon. Link for the best deals. 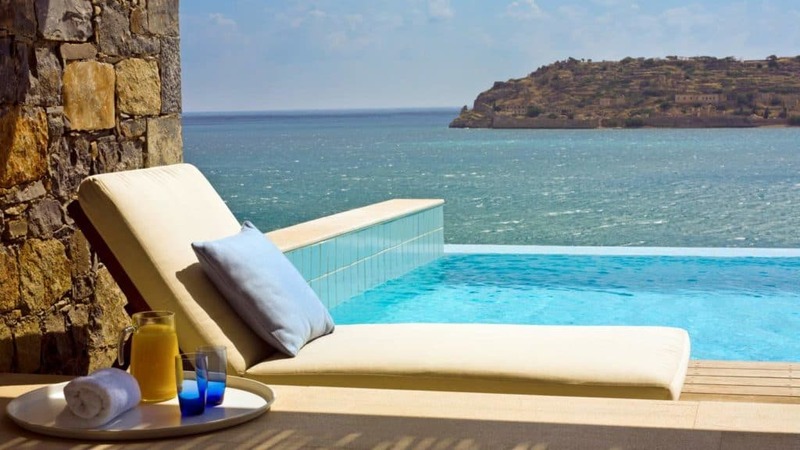 Like everything in Crete, this resort shouldn’t be missed! Offering amazing infinity pools, terrific crystal clear waters and stunning nature! Here is the link to book. 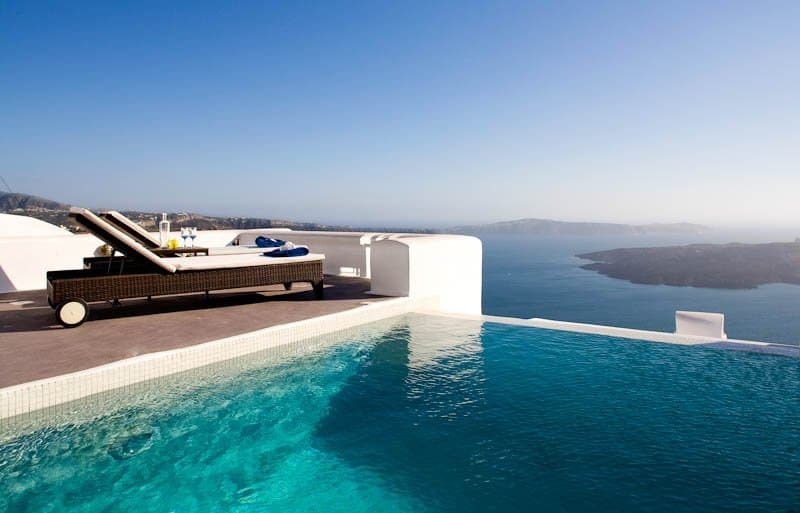 It’s no wonder Santorini has a few of the most beautiful hotels with the most magnificent views. If you choose this one for your honeymoon, you won’t be mistaken. To book or view prices follow the link. This resort is on my list to visit. It just opened this year and it looks stunning, everything you would expect from a Jumeirah property. Luxury, sea, sun and views is what is expecting you in this beautiful resort. On the coast of the Aegean sea, it is ideal for the most perfect honeymoon. Link to TripAdvisor. Check this post out: Umrah During Ramadan - Should I Stay or Should I Go? *For full disclosure, I do receive a commission if you book through my link. This helps sustain the site and it’s not a lot. However I always only recommend sites that I personally use and know you will save money. If I haven’t used it, I won’t recommend it. Hi…just curious,but what is so muslim friendly about these luxurious resorts you mention? No mention about the food being halal or the likes anywhere, this being the most critical point when a muslim decides to book a particular accommodation.I stand corrected if it was mention anywhere. I don’t always look at food only, I look at privacy mostly. For me, privacy is more important especially in Europe than food. Many Muslims are happy to try vegetarian or fish options if it takes them to locations they can do this. Also, resorts not always offer halal but there are restaurants around which do. Well then you should clearly mention this resort does not provide halal food. It’s the basic thing we muslims look at when travelling not the privacy part! There are halal food choices around the hotels and for many privacy is important.